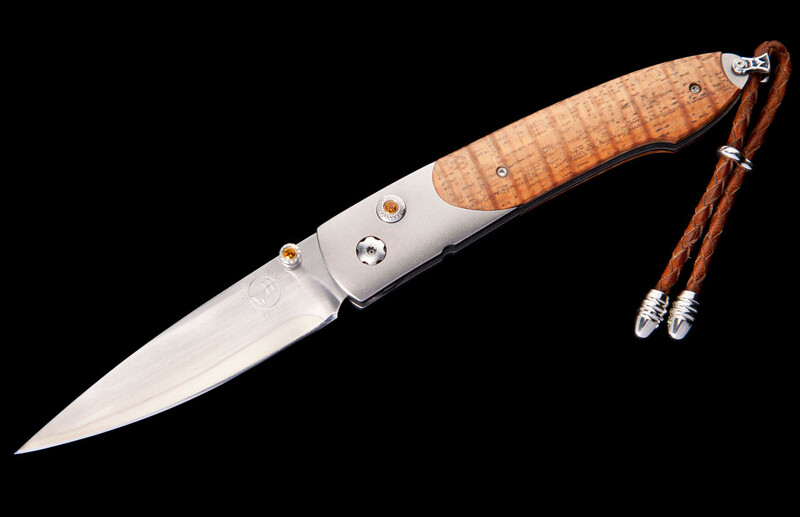 The Lancet ‘Curly Maple’ features a light and resilient frame in aerospace grade titanium, inlaid with curly maple wood. 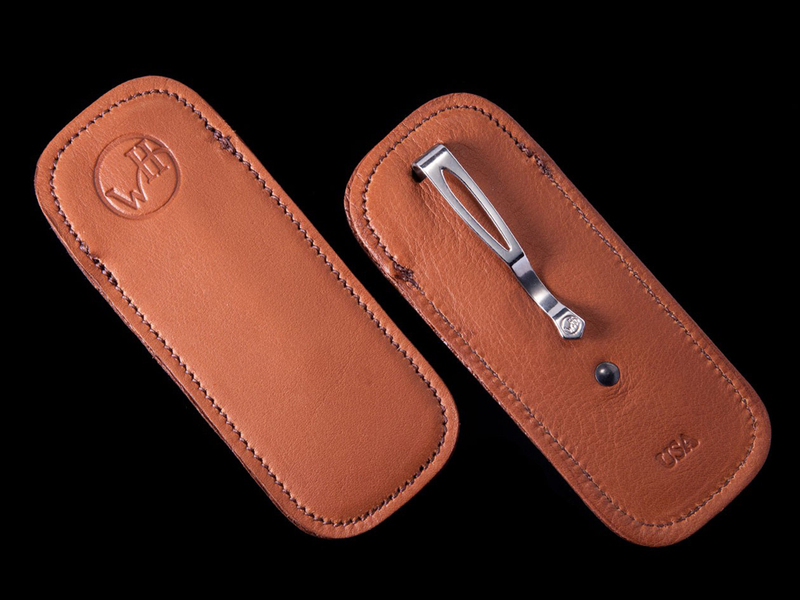 The blade stainless steel with an extra strong core in ZDP-189; the one-hand button lock and the thumb stud are set with citrine gemstones. 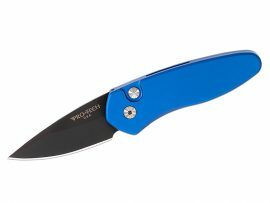 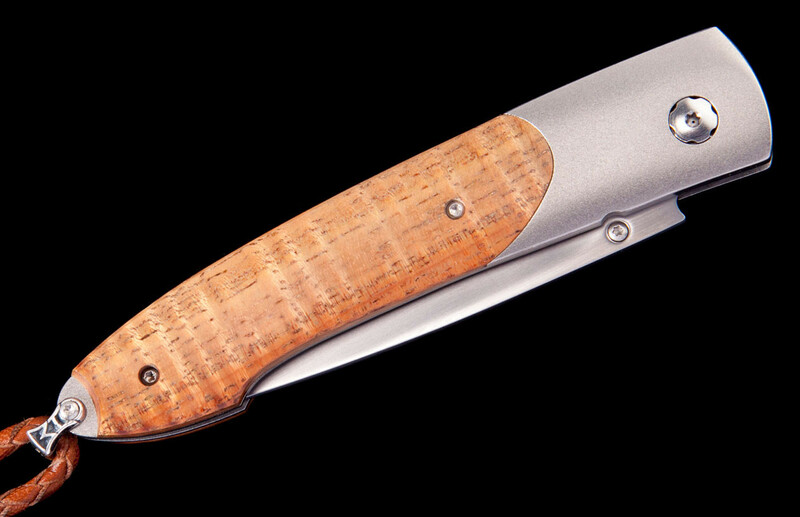 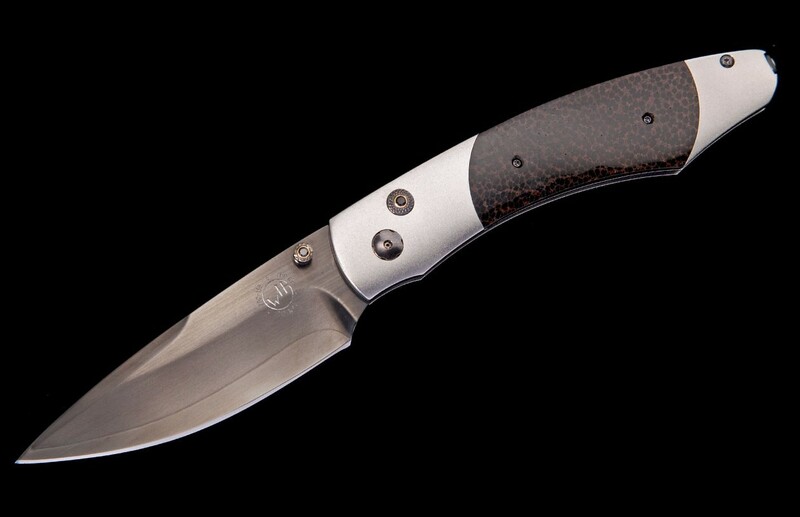 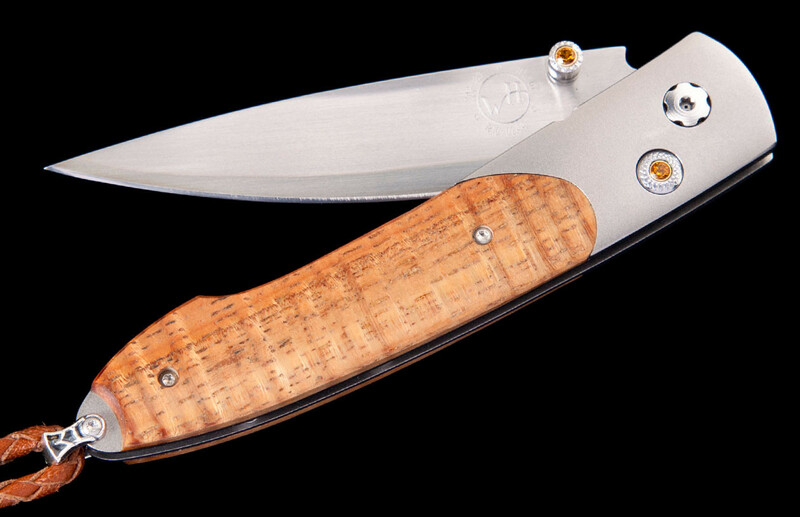 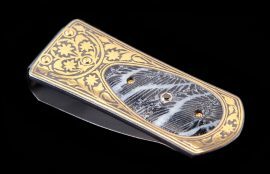 Sleek, elegant, refined, and comfortable in the hand and to the eye, the Lancet defines the essential gentleman’s folder in the modern world. 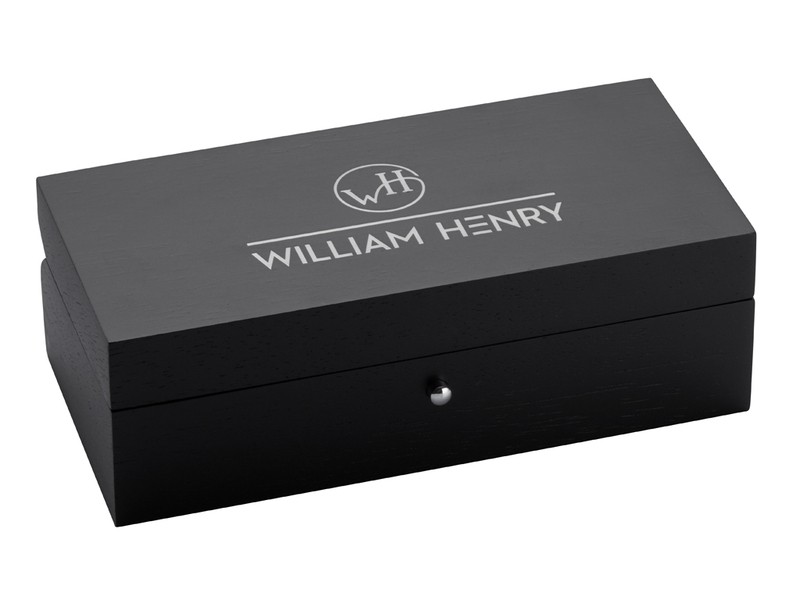 The ‘Curly Maple’ features some of the exotic materials and hand-forged metals that are the hallmark of William Henry’s collections; a distinctive personality statement to be worn and used for a lifetime.